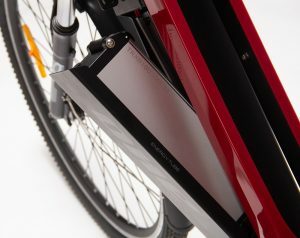 Tronx Motors, a Smartron company, today announced the launch of India’s 1st smart crossover electric bike, TRONX ONE. Tronx Motors, earlier known as Volta Motors, was founded with a vision to redefine the commuting experience for consumers by introducing autonomous, artificial intelligence and IoT technologies enabled electric vehicles. TRONX ONE is Smartron’s first step towards building the Tronx Motors vertical coupled with the company’s own tronX ecosystem. 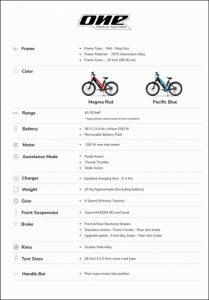 As part of the tronXTM portfolio, Smartron has already launched mobile, compute and wearable devices in the past and is now entering a new EV vertical. Designed and engineered in India, TRONX ONE is a future ready bike that offers a powerful ride experience combined with a unique design sensibility. 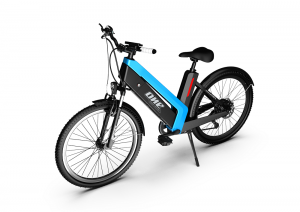 The e-bike priced at INR 49,999/- on an introductory offer for limited units is open for pre-orders and will be available in two colors – magma red and pacific blue.Shipping will start on the 16th of July for the first batch of consumers who have pre-booked the bike. TRONX ONE has been crafted while reimagining the future of travel with its powerful ride experience of 25 km/h. This crossover bike comes with multiple ride modes and Virtual Gears coupled with 3 Electric Gears and 6 speed Shimano Shifters which are enabled to extend and adjust the range and speed of the bike, letting you take seamless control over your ride. The mid step-thru frame is made for basic comfort and ease of users and is also ergonomic and adaptable for anyone who rides it. 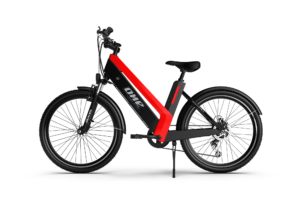 TRONX ONE is built on a premium AEROGRADE ALLOY frame material which is used in the constriction of aircrafts and is rust proof. 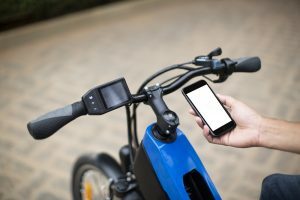 Delivering an efficient and exciting commuting experience, TRONX ONE also features a smart display powered by tronXTMand comes with an integrated tbike app which allows you to estimate range, and set fitness goals, all from your smartphone. 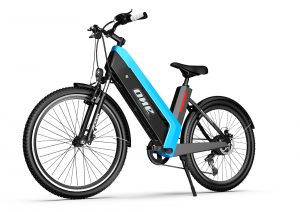 Easy to not just ride but use, the lightweight and detachable 36 V 13.6 Ah Lithium 500 W battery along with a 250W rear hub motor delivers a power packed experience to the users. Tronx One Claims uncompromised Guaranteed range of 50 Kms on continuous throttle mode per charge and 70-85 Kms on electronic gear Assist Mode per charge. Smartron was founded with a vision to build India’s first true global technology OEM and IoT brand that is ‘Designed and Engineered’ in India for India and the world. Smartron developed and introduced a unique and innovative tronX™, an AI powered IoT platform that delivers highly personalized and customized services to consumers and solutions to businesses through range of smart devices, things, vehicles and systems targeting personal, health, home, education, enterprise, infra, agriculture and energy verticals. Smartron is also leading the efforts to build a robust product ecosystem around tronX™ under “powered by tronX™” program. Tronx Motors, which was founded with a vision to redefine the commute experience in India, aims at bringing electric, autonomous, artificial intelligence and IoT technologies together for automotive industry. The company, which is the automotive wing of Smartron India plans to bring out a range of intelligent connected vehicles completely Designed and Engineered in India. The introduction of TRONX Tronx ONE One marks the entry of Smartron along with tronX Tronx Motors in the EV industry. 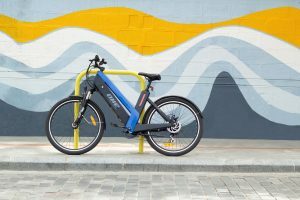 With this crossover electric bike, the company has strengthened its product ecosystem by mastering its focus across verticals to deliver the best of technology.